What do Disney, Bollywood, and 'the Batkid' teach us about how to create celebrity experiences for our audiences? How can a vending machine inspire world peace? Can being 'imperfect' make your business more marketable? Can a selfie improve one's confidence? When can addiction be a good thing? The answers to these questions may not be all that obvious, and that's exactly the point. 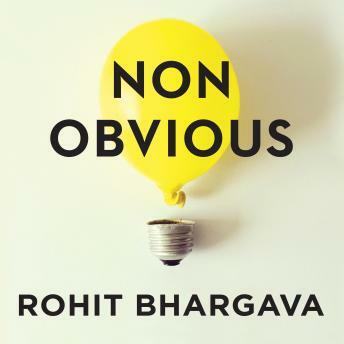 For the past four years, marketing expert and Georgetown University professor Rohit Bhargava has curated his bestselling list of 'non-obvious' trends by asking the questions that most trend predictors miss. It's why his insights on future trends and the art of curating trends have been utilized by dozens of the biggest brands and organizations in the world. In this newly updated fifth edition of Non-Obvious, discover what more than half a million others already have: how to use the power of non-obvious thinking to grow your business and make a bigger impact in the world.